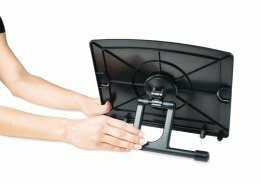 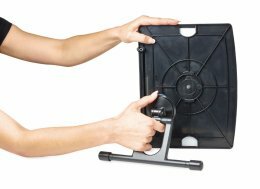 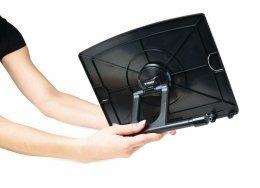 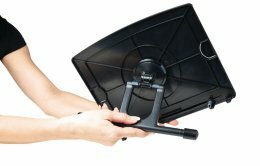 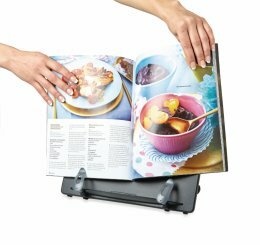 The bookstand can be used both vertically and horizontally due to the flexible swiveling mechanism. 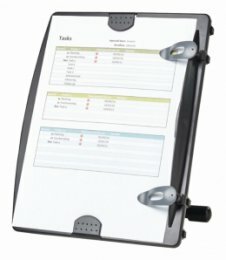 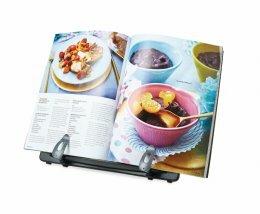 Two adjustable clamps enable you to put a single sheet as well as a thick book on the stand. 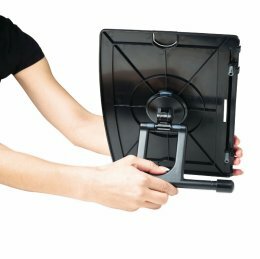 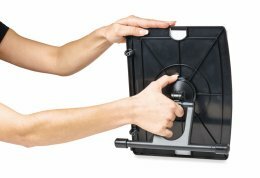 The stand can be folded for storage, thus making it easy to take along.